Having struggled with chronic illness for most of my children's school age lives I am always on the lookout for excellent materials that fit within my educational philosophies, but can also be done by the children independently or with minimal help or oversight by me. Video, audio and computer resources especially have been a huge help - very much like having tutors on tap. Below, I have listed resources that we have used in the past - or are currently using - that have helped make it possible to continue to give our children an excellent education at home, in spite of challenging circumstances. I've also included some materials that we haven't used yet, but may at some point. It is not a complete list, but these are our favorites, most relied upon, or hope-to-use. Starfall.com This is a great, free online reading program. Very well done and I have only come across one or two mildly objectionable things. You can upgrade to even more features (including math games) for an inexpensive yearly subscription fee. Latin for Children This is one we have not done yet, but I have my eye on it. We love Song School Latin and other products from Classical Academic Press (see below) so I plan to use this or the DVD version soon. CAP also offers online teacher led courses. 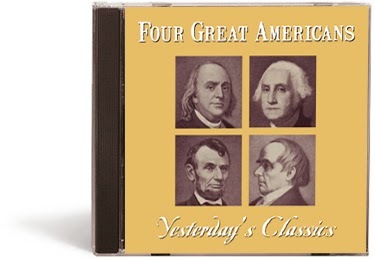 Classics for Kids This is a wonderful resource for composer study! I need to use this more. Veritas Press Self - Paced Online History We love these! We completed the Old Testament and Ancient Egypt course and are part way through Explorers to 1815. They also now offer Bible courses and courses for older students. These are packed with information and taught classically with lots of memory work accomplished by games, review and timeline songs. They are also full of pictures of places, people and things from the lessons. The courses we have done have only had two real negatives. One, I do not care for the way the history guides treat each other, especially in the Old Testament course. It is meant to be funny, but is just plain old disrespectful. Lots of eye rolling, belittling comments etc. between husbands and wives. I point this out to the children as not being acceptable. The other issue was just with the OT course. We purchased the timeline cards (pictured above!) and I was quite horrified at some of the art that was used. Let's just say that some people in the pictures were lacking clothing. I worked around these few cards by printing out my own pictures and gluing them over the top of the picture on the card. Worked great! The cards were shown on the lessons online but were smaller and these issues weren't as noticeable. Other than these two drawbacks, I highly recommend these lessons. They work wonderfully as a spine or outline to work from if you are able to add in other books. You can see sample lessons here and they are currently on sale! Bob Jones Distance Learning Although it doesn't line up with my Charlotte Mason mindset, the distance learning program from Bob Jones is really quite excellent. It was a wonderful solution for us early on and my oldest even learned to read through their lessons. Some of the lessons are a bit long, but they are well done with teachers who are just exactly what you would hope your school teacher would be. They are similar to children's television programs with puppets, themes and props, but are Christian , even more educational and come with plenty of printed materials to go along with the programs (much of the paper stuff is optional and we only used a few workbooks). We have only used the lower elementary levels, so I'm not sure what lessons are like for older children. The biggest drawback is the price. They aren't cheap, but they do have a payment plan option. The other drawback is Mr. Nice Guy on the Kindergarten program. He is quite babyish and rather disturbing. In real life, I wouldn't let him near my kids. In the lessons he just pops in once in awhile, thankfully. You can view sample lessons here. Teaching Textbooks We haven't actually used these, but the reviews are excellent. We are already using Math U See, but if we weren't, I would go this route. Math U See I am very happy with Math U See. Short, well taught video lessons that the children enjoy and work books and math blocks to go along with the lessons. Netflix Not something I recommend, per say, but a very useful tool that has gotten us through many difficult days when I truly haven't been able to do more than lay on the couch or in bed. I appreciate the fact that they allow you to have different users on the same account, so the children have their own which goes directly to the "Kids" section and avoids any unpleasant stuff on the home page. Some of our favorite programs are Curious George, Busy Town Mysteries, Leap Frog, Blues Clues, Country Mouse City Mouse, Fireman Sam and How it's Made. Daniel Tiger gets watched too, but he is only favored by a few, short minority. A couple of those shows aren't currently on Netflix, but I'm hoping they will be again. Again, these aren't necessarily recommendations - more just a list of the best options we have found when I need the children to be able to just sit and watch stuff, while I keep an eye or an ear close by. There are also a ton of educational movies and documentaries, but some of those you might need to preview first or watch with your children. Liberty's Kids This is an excellent, very well done series that we just discovered. The children love it and I am impressed. I'd say it is the video equivalent of a living book. The children laugh and talk about Lafayette and what a cheerful undaunted fellow he was, they speak with awe and respect of George Washington and they were horrified at the betrayal of Benedict Arnold. (They did not know his story and the series does a masterful job of leading up to his treachery. The children were shocked when he turned out to be a traitor and it made quite an impression.) This series has spurred lots of interest and reading now on the American War for Independence .The DVD iscurrently on sale at Amazon for only $5.00 for the entire series! Definitely a great deal. Highly recommended! I Can Do All Things Art Lessons We have only done the first few lessons, but they were a hit. This is a set of 4 DVDs for beginning drawing and painting. These set off a drawing frenzy in our house! Song School Latin Highly recommended! The book and CD are excellent as is the DVD. The workbook is very nicely laid out, the songs are well done and pleasant to listen to and the DVD gives even more information. All gently, but effectively, taught. I have been very happy with anything I have purchased from Classical Academic Press. I also highly recommend Song School Latin Vol. 2 Book, CD and DVD. God's Great Covenant Also from Classical Academic Press. This is a great Bible study program, nicely laid out in workbook form. It could be done by a child individually or as a family. 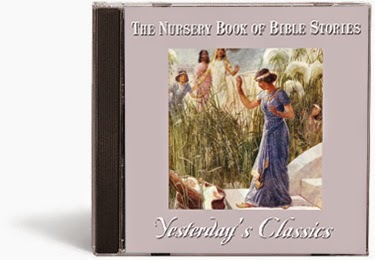 It also comes with the Bible stories from the book in downloadable MP3 format. My Audio School This website is full of public domain books in audio format. Each book is laid out chapter by chapter or as a complete download , along with lots of illustrations that correspond with the book. Some of the content is free and the rest is available for a very low yearly subscription. Exploring Creation from Apologia I love this series so far. Only one book is available on audio at the moment, but others are in the works and I am very much looking forward to that! 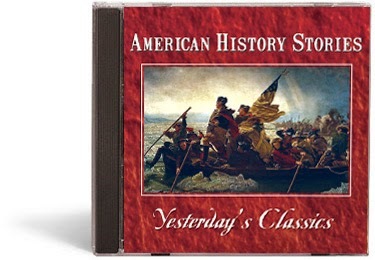 Mystery of History We are not currently using this, but now that Volumes 1-3 are available in audio format I am hoping to incorporate it. Jonathan Park Our children love these and have learned so much science through these exciting, but highly educational, adventures. Highly recommended! 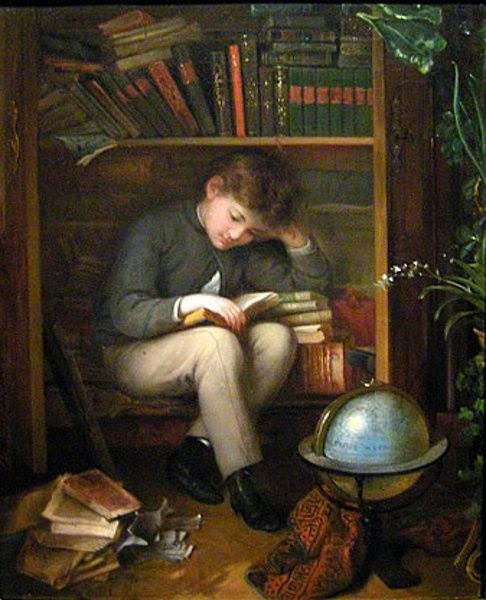 Audible.com Audible is a treasure trove of well-recorded audio children's books and classical literature. They offer multiple download options, or you can listen right from the computer. You can join for a free, month long trial. 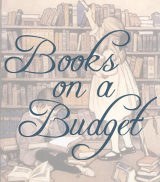 Jim Hodges Audio Books A wonderful collection of classic literature, beautifully read! 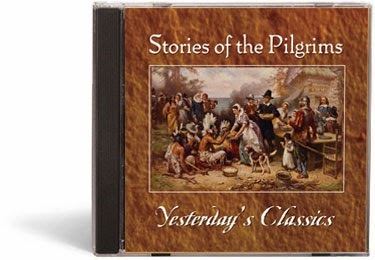 I especially recommend Stories of the Pilgrims, one of our family favorites. Audio Memory My siblings and I listened to the songs from Audio Memory back when we were being homeschooled and I can still sing the states and countries! 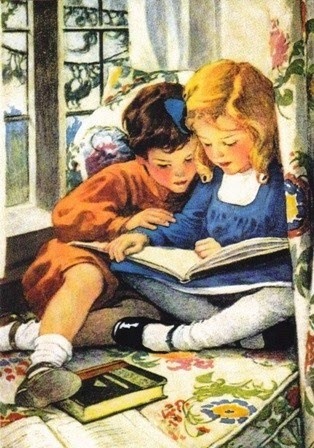 We also carried them in our family's homeschool bookstore and they were customer favorites. Planning to use these this year with my own children. Language Lessons This wonderful workbook series by Sandi Queen teaches phonics, grammar, copywork, poetry, picture study (with full color paintings) and narration in simple, short lessons. The older ones can easily do them on their own and for the little ones the lessons are so short and easy that I can manage them on a day where I am feeling better. You are the mother. You are the teacher. You might not know the subject as well as the author of the material, but you do know your child much better. You are not teaching a generic classroom of averages, but your own house of individuals. Your job isn’t to pull them through the gauntlet laid out by the curriculum, but to determine your curriculum – the path you take – and use the materials as means to get there, always being the one in the driver’s seat. 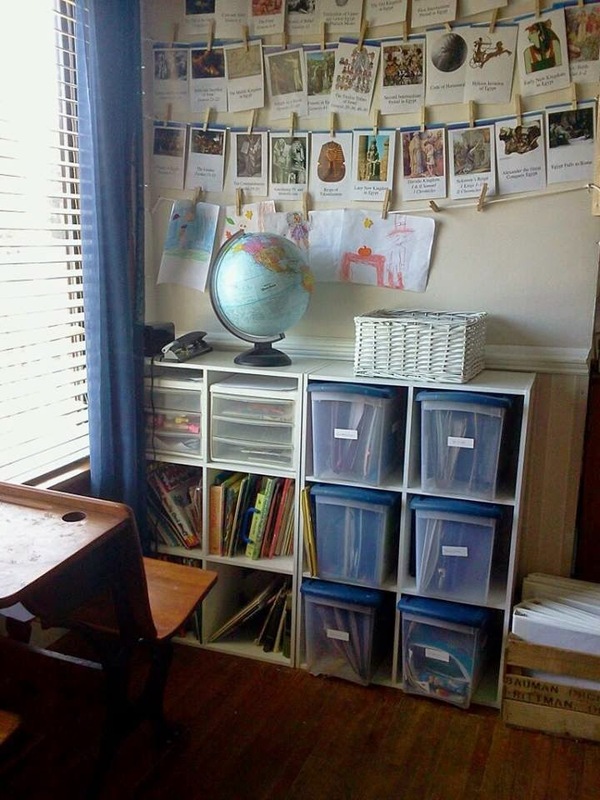 What are some resources you have found helpful in your own homeschool? This post contains affiliate links to Amazon.com and other recommended companies or products that may render the website owner a small commission.